Springfield Lane is a street based city quarter on the banks of the river Irwell in Manchester. 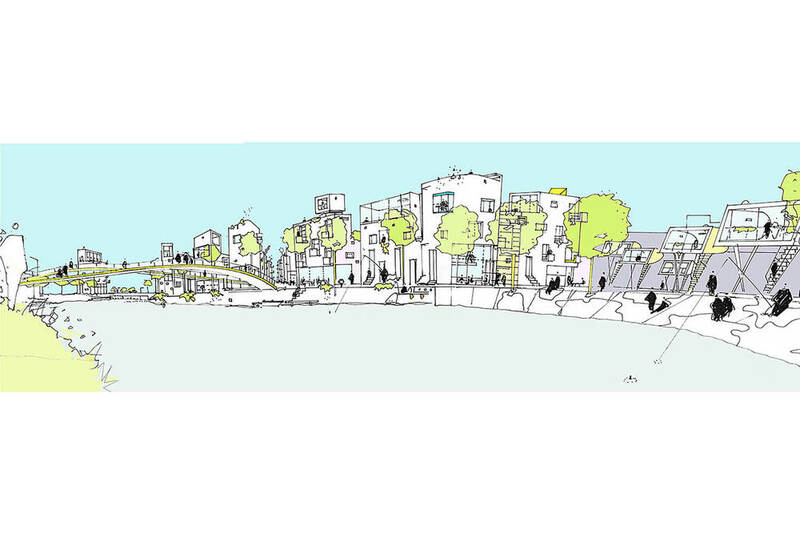 The scheme has an 'Urban Beach' with 21st century beach huts and a new bridge. A selection of top architects would be invited to contribute a block to the project.